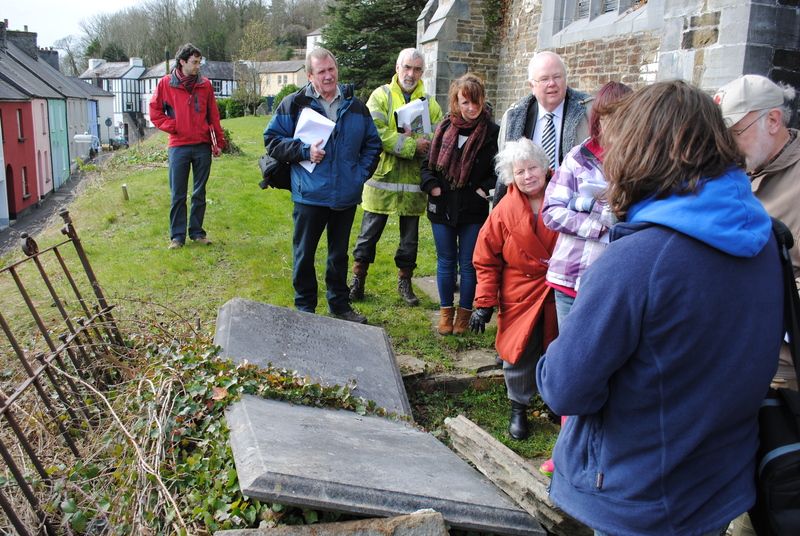 On Saturday 3rd March people assembled in the Dyfed Archaeological Trust offices in Llandelio in order to learn more about graveyard investigation and survey in a free training session made possible by the Council for British Archaeology (CBA) with funding from Cadw. The first half of the day comprised of presentations detailing the history and evolution of graveyards and their changing style of memorials, followed by examples of the types of survey recording work that have already been carried out. Menna showing her group how to use the plane table despite the rain! 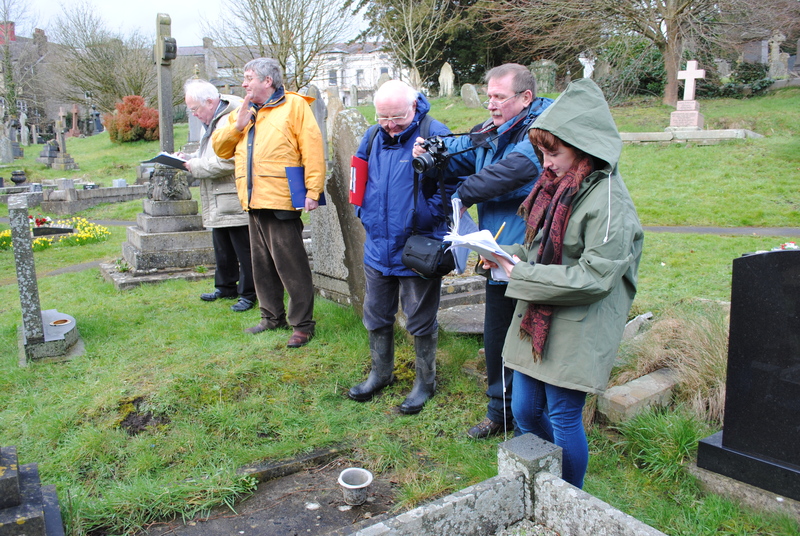 The group were split into two halves, one being taken by Menna Bell (Dyfed’s CATP) to be trained in plane table survey whilst the others were taken by Natasha Scullion (GGAT’s CATP) to look at general graveyard recording methods and how to focus on features of individual gravestones. 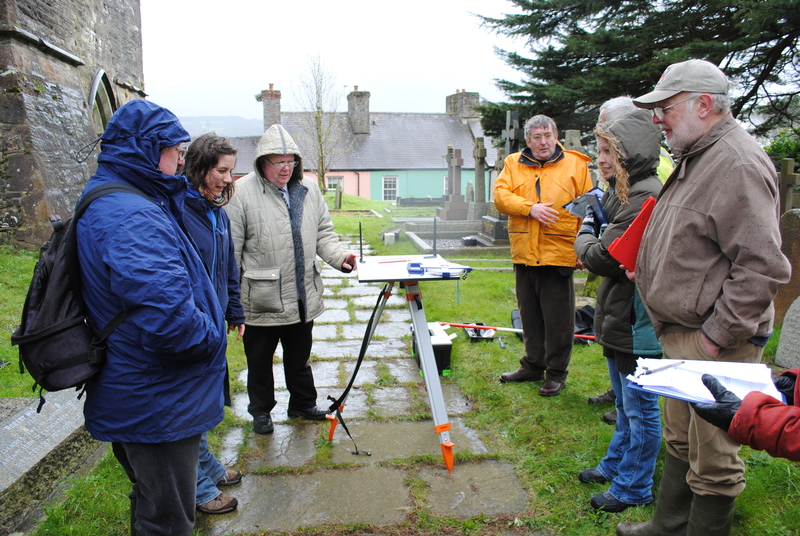 The day proved very popular with the group who bravely withstood the elements in order to get the most from the course, learning new skills ready to be used in their own planned graveyard surveys. Everyone agreed it had been an informative day and we’re now looking forward to the new surveys that will be produced using what was learnt in St Telio’s. 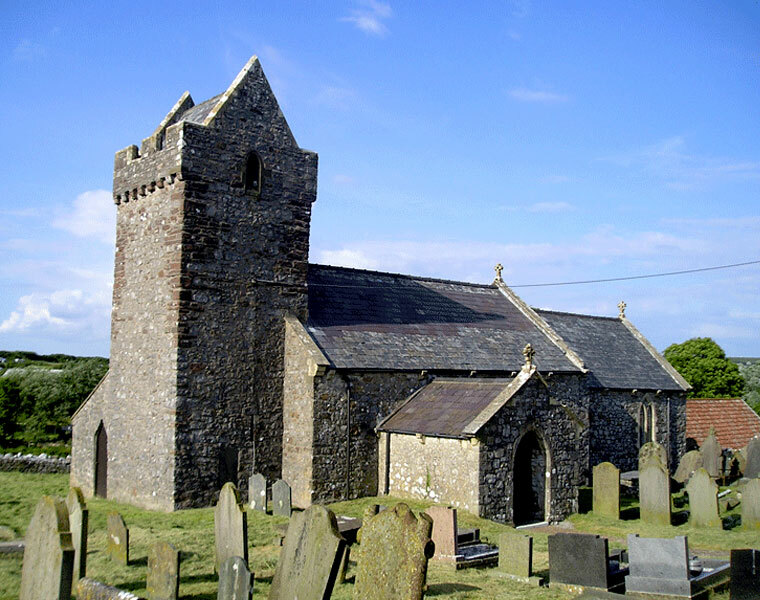 If this sounds interesting then there is a repeat of this course taking place this Saturday 10th March at St Donats Church, St Donats, Vale of Glamorgan. The day runs from 9:30 am meeting at St Donats Church Car Park and will finish at 4pm. Open Church Day this year is Saturday 17th September, and you can find details of participating churches in the downloadable leaflets on our website. However, please look carefully at details of opening times for each church, as some churches have found it more convenient to open on a different day of the month. 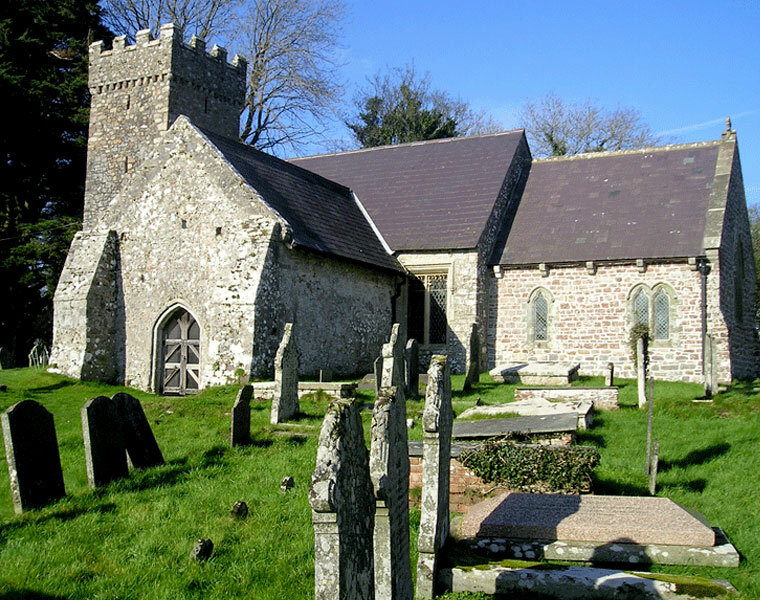 The leaflets include those churches that advertised their participation by the end of August, but you may find some late entries at the Churches Tourism Network Wales website and the Civic Trust for Wales site. Tell us about your bells! 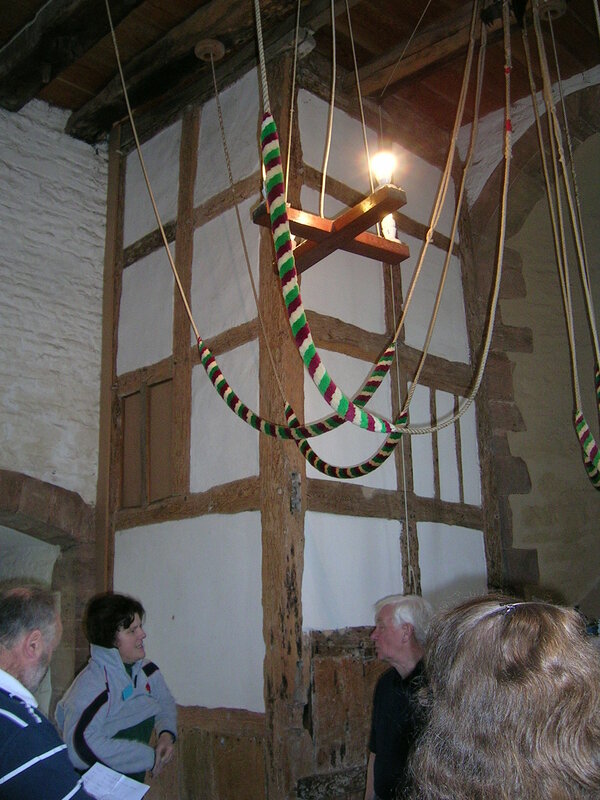 Swansea has two peals of eight bells, one at St Mary’s in the city centre and one at St Paul Sketty. 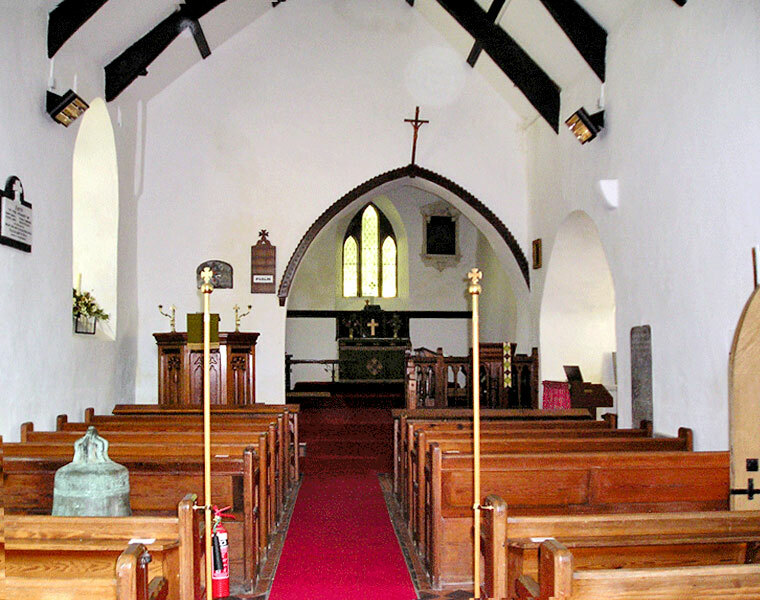 Other churches, chapels and civic buildings have them, they may be up to 200 years old, often having inscriptions of names and dates on them. Tell us their location, send us a photo or any details or stories about them that you know – thank you!